It’s that time of year again. Rushing to get the kids out the door with completed homework, while also trying to remember to pack lunches, make sure they have some type of clothing on, and get to the bus stop on time. After the mayhem subsides, it crosses your mind. “Who will be home to let the dog out?” It is no secret that our pets are really just four legged children, so who will be able to occupy and take care of them while the kids are at school? Unfortunately, guilt is sometimes an accompanying feeling when school starts again. These feelings of guilt come about when thinking about having to crate or kennel your “other child”, while your two legged kids are at school all day. 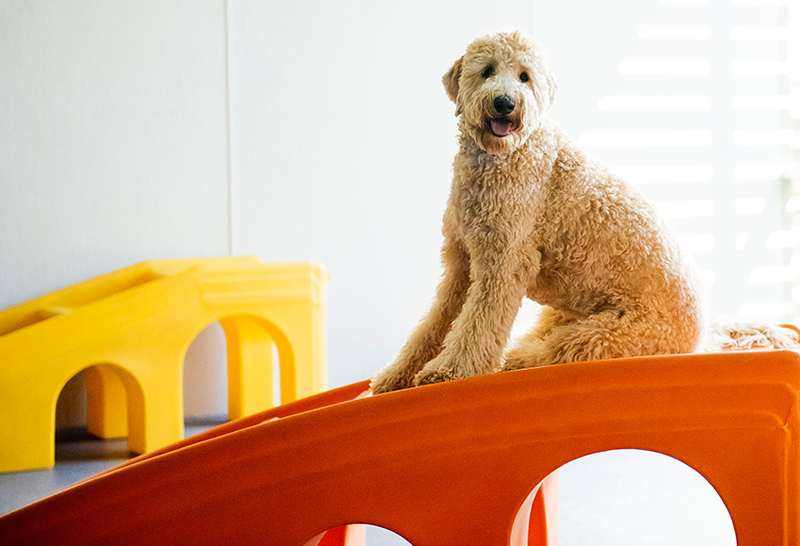 Dog day care is a smart solution to that problem, and there are more benefits to day care than you may think. Sure, the obvious benefits are that they get to be let outside to do business, get love and attention from a human, and burn off energy from playing all day. However, I have found that some of the less obvious benefits are also the most important. 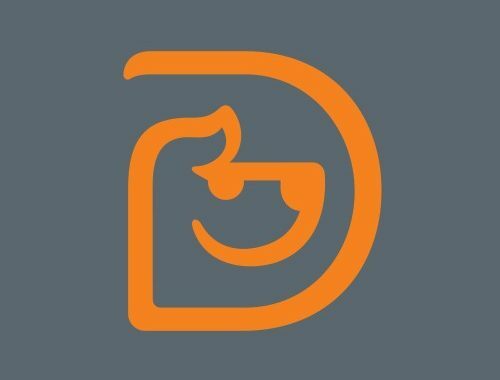 After recognizing the changes I have seen in the behavior of some of the more rambunctious dogs that have started coming to day care, I began to realize the benefits dog day care has on doggy manners and behavior. As with children, dogs that do not have the opportunity to be bored also do not have the opportunity to get in trouble. At Dogtopia, there is constant interaction and attention given, including attention to unwanted behavior. This unwanted behavior (such as mouthing, jumping, excessive barking etc.) is corrected by staff members as well as play mates. Another added benefit of having your pups come to play at Dogtopia is an increase in activity that is linked to better overall health. 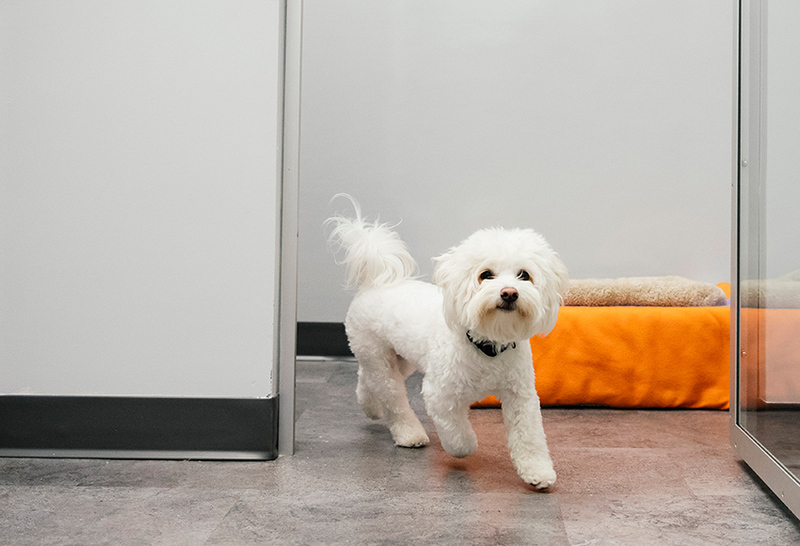 Some of our customers have noticed a change in body composition (including loss of fat or unwanted pounds from all that people food being snuck under the table) and increase in energy, from the play time and room they have to run around at Dogtopia. Increased activity and play time may also increase that “dog” smell (you know that certain smell your dog gets from playing with friends.) 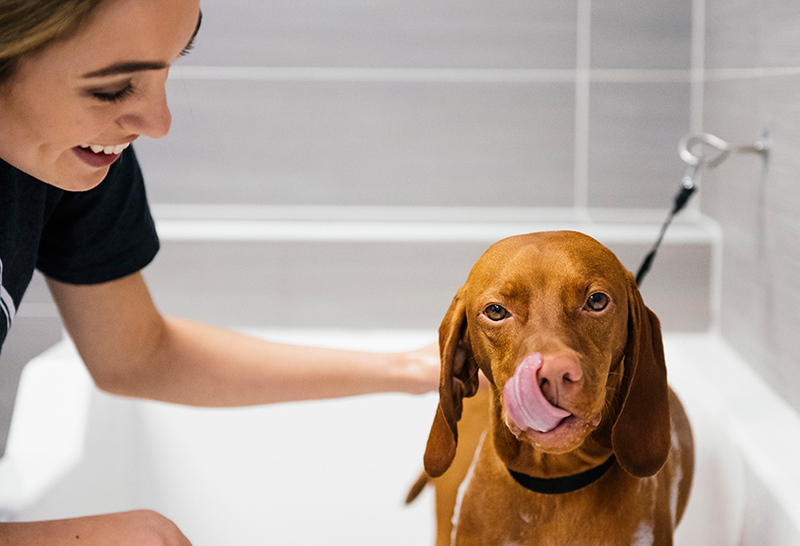 A great way to remedy those unwelcome smells is in our “spa” where your dog can be bathed by our magnificent staff, or even groomed by our stellar groomer, Alex. As it is apparent in this posting, I think back to school time is a perfect time to send your pups to “school” too! There doesn’t have to be feelings of guilt for keeping your four legged children kenneled all day… bring them here and they will have so many friends to play with, they’ll be thanking you!